At DSI North Door Systems we strive to know everything possible about garage door sales, installation and repair. Whether for residential, commercial or industrial use, we recommend only the best quality garage doors and door openers. Our commitment is to, in one word, quality. This is why we proudly carry Garaga as our main garage door line. By working with this leading brand, our customers’ satisfaction is guaranteed. Their garage doors offer unequalled energy efficiency plus solid construction. Their wide collection is made up of over a hundred different styles. Visit our image gallery - you’ll be impressed! If you have a garage door project in mind, complete our online quotation form to get a price quickly. At DSI North Door Systems, no job is too big or too small, so come visit our showroom. We look forward to serving you soon! Many times a day, your door opener raises and lowers the heaviest moving component of your home, your garage door. To avoid any mishaps and be sure of a well-performing opener system, it should be one built to last. At DSI North Door Systems, our well-experienced team can suggest the right door opener to go with your garage door. Because quality is our trade mark, we carry the unsurpassed door opener brand, LiftMaster! Manufactured by The Chamberlain Group, safety and security are foremost. In addition, at every production step they use only the most robust components to build their powerful motors. That results in LiftMaster being the unequalled door opener in its category. See our complete range in our opener section. They can be installed for commercial, residential, or industrial applications. At DSI North Door Systems, all of our technicians are prompt and professional in installing or repairing your garage door system. 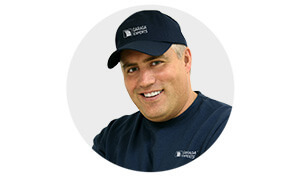 Our Garaga Experts certification is more proof that we are well-qualified to properly install your garage door so as to meet the industry’s highest standards. If your garage door needs any repair, wait no longer. However, cables and springs are under high tension and trying to fix them yourself could lead to injury. With fully-equipped trucks, we can get to you and fix any problem in record time. We will also inspect your entire system to help avoid future mishaps. We can easily repair any brand like Stanley, Amarr, Wayne Dalton or Craftsman. To make a request for service, feel free to schedule a service call online. We will answer you promptly. We proudly serve the North Shore area including Georgetown, Boxford, Essex, Hamilton, Middletown, Wakefield, Salem and the surrounding areas. At DSI North Door Systems, we take care of your garage door like it was ours. Amesbury, Nahant, Newburyport, Beverly, Boxford, Danvers, Essex, Georgetown, Gloucester, Hamilton, Ipswich, Lynn, Lynnfield, Malden, Manchester‑by‑the‑Sea, Marblehead, Melrose, Middleton, North Reading, Peabody, Rockport, Rowley, Salem, Saugus, Swampscott, Topsfield, Wakefield.